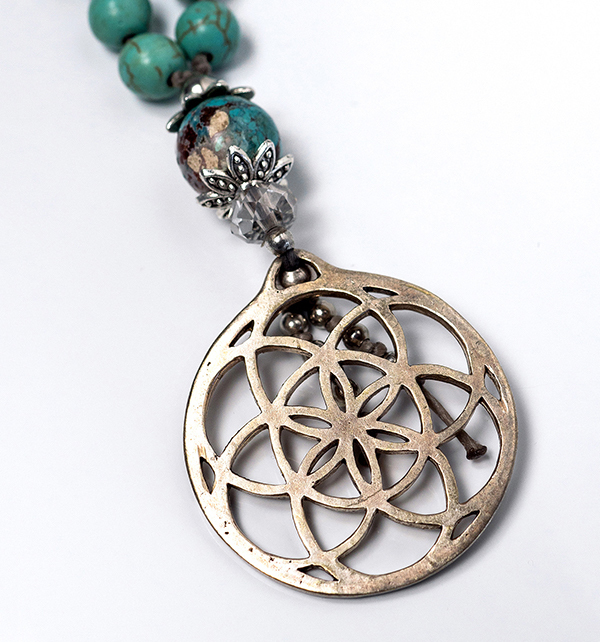 Turqoise magnesite malabeads brass Flower of Life amulet big pattern embellished. 108 beads, length 54cm. 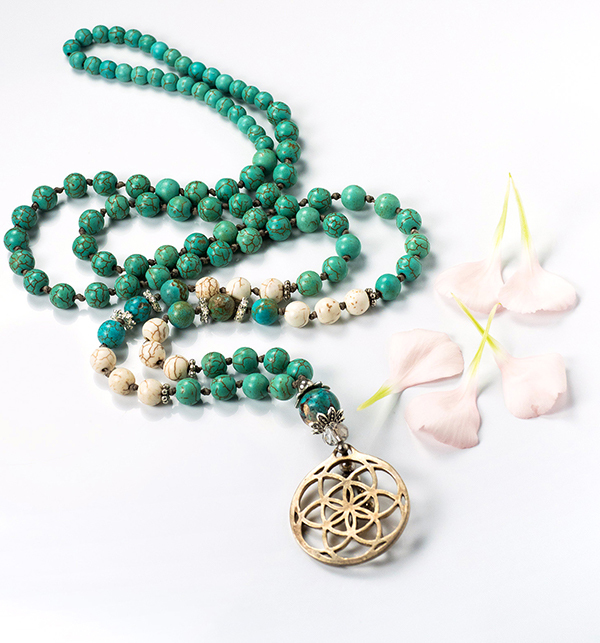 Meditative stone which enhances clarity, imagination and visualization. 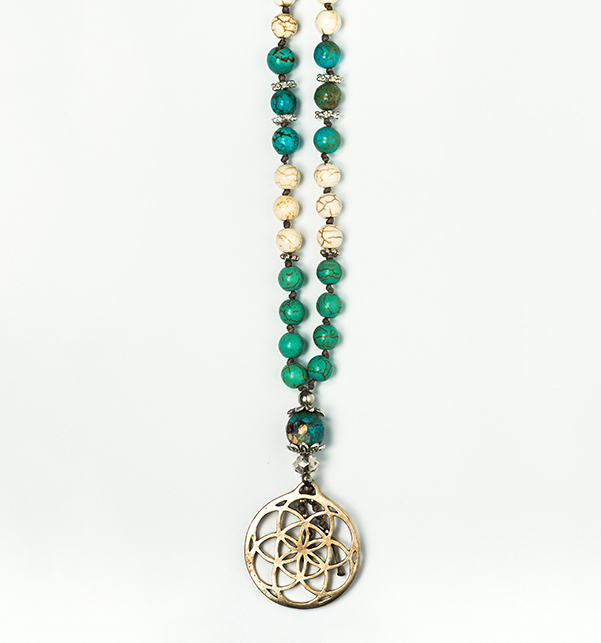 Soft vibration increases self-esteem.